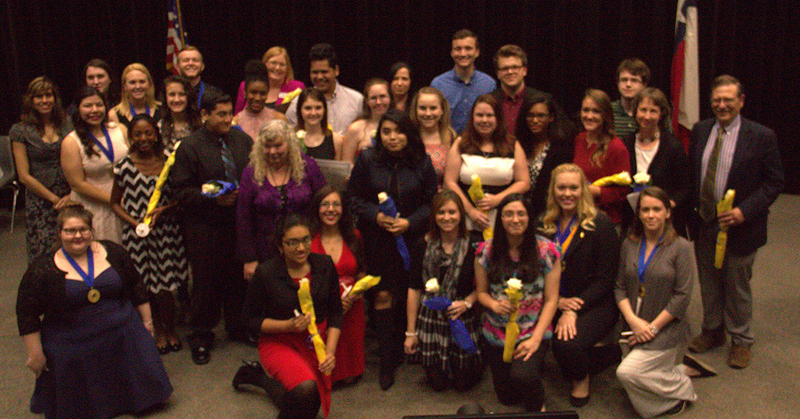 A total of 18 students were honored at the spring induction ceremony of the Phi Theta Kappa Honor Society at College of the Mainland. COM’s chapter of Phi Theta Kappa is active in volunteering on campus and in the community, and it was recently ranked one of the top 100 chapters internationally. Excelling academically, 18 students were honored at the spring induction ceremony of the Phi Theta Kappa Honor Society at College of the Mainland. Members of Phi Theta Kappa, an international community college honor society, must meet its academic standards including completing 12 credit hours and earning a 3.5 GPA. Inductees were Daniel Buenrostro, Carolyn Bullard, Cali Cooper, Maria Henriquez, Brandy Hrachovina, Lucille Ivey, Diana Lopez, Jakob Lucas, Kaci Maris, Ross Martin, Tammy Romines, Enrique Salazar, Destiny Sauceda, Emily Selesky, Greta Silvertooth, Saleemah Thomas, Jessica Turner and Bailey Wooley. COM’s chapter of Phi Theta Kappa was recently named one of the top 100 chapters internationally. 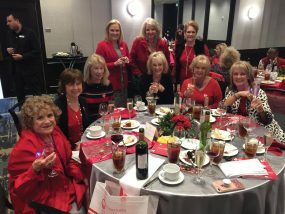 It has been named a Five Star Chapter, the highest level of recognition, for its service, scholastic excellence and community involvement for the past 17 years.